Having an opioid dependence isn’t something you have to battle with on your own. 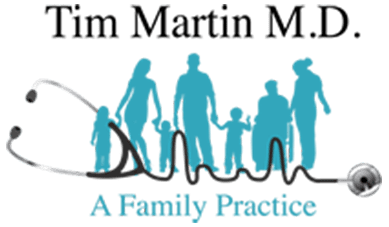 At the practice of Tim Martin M.D. in Abilene, Texas, Dr. Martin and his specialized team can help support you throughout your recovery, so you can have an improved quality of life. Before living one more day being dependent on opioids, schedule an evaluation. You can either click on the online scheduler or call the clinic directly. What are the symptoms of opioid dependence? Abusing opioids can also lead to chronic dry mouth, drowsiness, and unexplained weight gain. If left untreated, an opioid dependence can affect your personal relationships, job performance, and social interactions, not to mention your health. How is opioid dependence diagnosed? Recognizing that you (or a loved one) have an opioid dependence is the first step on the path to recovery. Dr. Martin and his caring team understand how uncomfortable it can be to discuss your concerns and want you to feel safe and secure during your evaluation. In most cases, Dr. Martin can diagnose an opioid dependence by sitting down with you and discussing your behaviors. He may also be able to visually see certain signs, including constricted pupils. Once he understands the severity of your opioid addiction, he can work with you to design an effective treatment plan. How is opioid dependence treated? While there is no one-size-fits-all approach to treating opioid dependence, Dr. Martin finds that most men and women respond well to SUBOXONE® therapy. SUBOXONE is a prescription medication that binds with receptors in your brain, so when you consume opioids, they won’t be able to bind with the receptors. As a result, you won’t have the euphoric effects that lead to opioid dependence. Over time, your opioid cravings and urges start diminishing. Dr. Martin also offers similar opioid dependence buprenorphine and naloxone medications, including ZUBSOLV® and BUNAVAIL®. If needed, Dr. Martin can even provide referrals for local Narcotic Anonymous groups and personal therapy specialists, so you can take control of your opioid dependence right away. 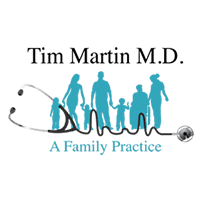 If you’re struggling with opioid dependence, schedule an evaluation at the office of Tim Martin M.D. right away. Book online or over the phone.